This is especially funny given the prominence of these two coaches. 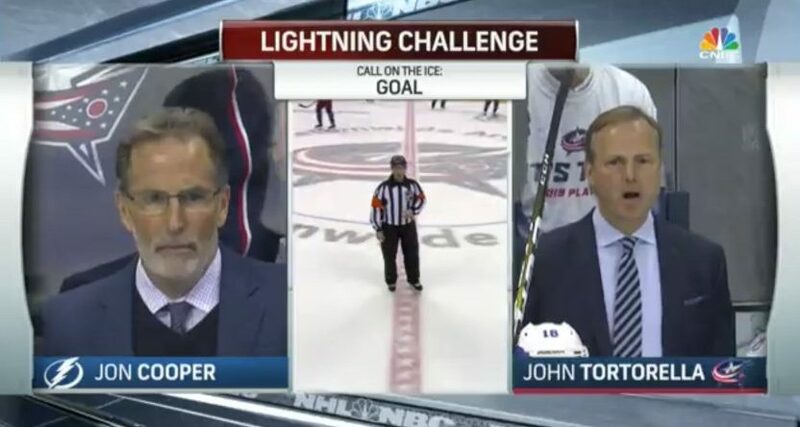 Tortorella is very well-known to hockey fans considering his various meltdowns over the years, plus his Stanley Cup win with the Lightning in 2003-04, while Cooper’s pretty prominent in his own right and has coached the Lightning since 2012-13, taking them to the Stanley Cup Final in 2014-15 and to the conference final last year. And they don’t particularly look like each other. But hey, Cooper might want to be Tortorella at the moment, considering that his top-seeded Lightning are down three games to none against the last-seeded Blue Jackets.